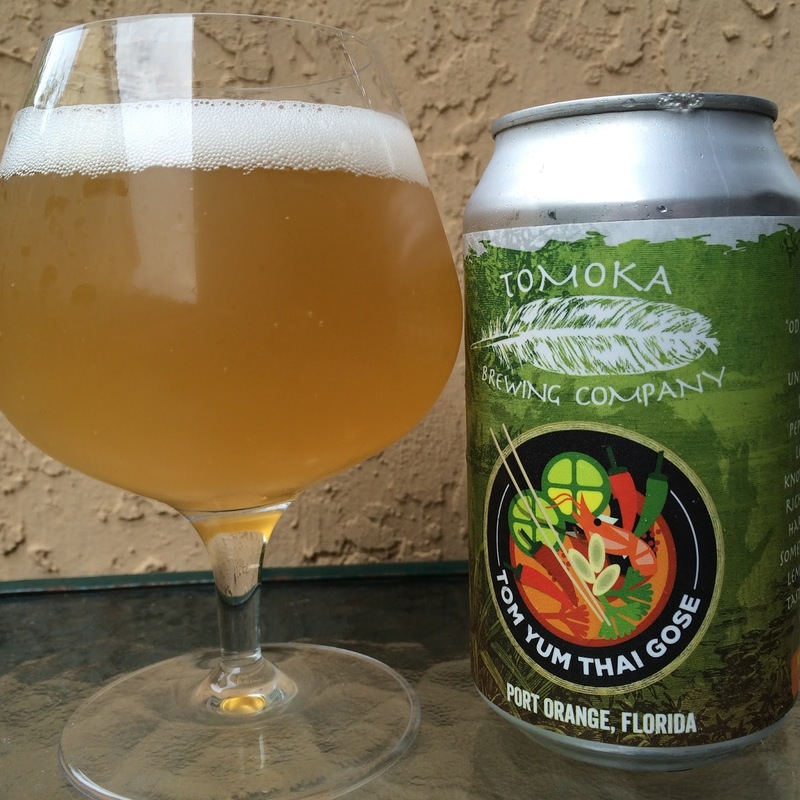 Tom Yum Thai Gose by Tomoka Brewing in Port Orange, Florida? Hell Yeah! 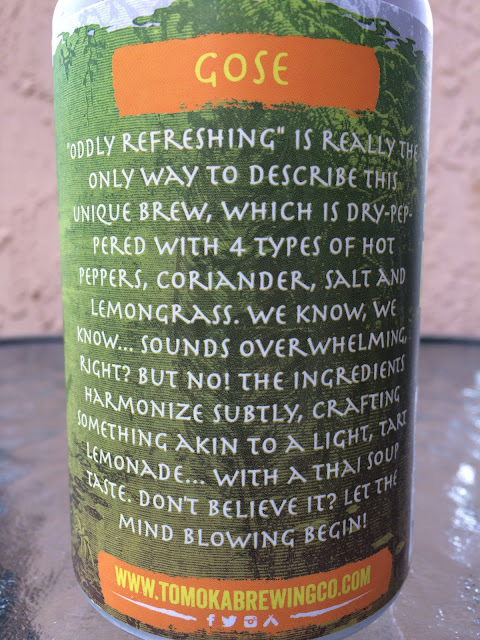 This can comes with a sort of apologetic story explaining how hot peppers, coriander, salt and lemongrass can work in a gose, leading with "oddly refreshing!" And to top it off, the Tom Yum ingredients are pictured on the label. 4.2% alcohol. 7 IBUs. Interesting peppery, lemony, salty, herbal aroma grabs your attention. A LOT GOING ON! You can definitely taste the base gose, nicely tart, lemony, lightly sour. But there are definitely so many other flavors begging for your attention. Peppery spicy at the start followed by tart lemons and limes. Then salty with some lemongrass and herbs. All distinct, yet, oddly, working together. A low-grade burn hits your lips after a few sips. I really liked this in the most weird way and bet it would be great to cook with. A+ for creativity and I bet it took a lot of experimentation to come up with this final recipe. Check it out!